Request information on any of Century Air’s training programs and services. 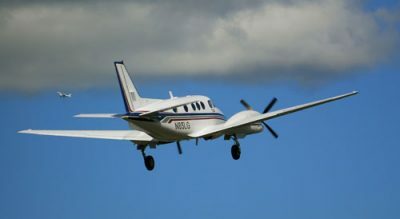 To maintain proficiency and meet insurance company requirements, pilots of multi-engine and high performance aircraft must annually obtain recurrent training. Whether you’re transitioning to a new aircraft, or operating an aircraft you’re already qualified in, Century Air is an industry leader in insurance company approved initial and recurrent training. The airlines have long recognized the importance of recurrent training, and it’s a significant reason for their outstanding safety record. At Century Air, we believe that these concepts can be extended to all levels of flying, and for this reason, we have brought airline quality training to the general aviation environment. We utilize CRM (Crew Resource Management) training, which is only taught by corporate flight departments and the major airlines. The concept has been in place for many years as a primary training requirement, but only Century Air implements these important training methods into the initial and recurrent aircraft programs for general aviation pilots. Our simulators are approved for IFR training as well as IPC checks and pilot evaluations. The training is conducted by highly experienced instructors and structured for each individual’s needs. The realistic, simulator based training scenarios include low-visibility taxiing and takeoffs, IFR navigation, holding, GPS usage, approaches to minimums, and missed approaches. In addition, many emergency procedures are emphasized: engine and instrument failures, landing gear problems, systems failures, electrical malfunctions, icing, and much more. Using a multi-faceted approach of ground instruction and proven LOFT (Line Oriented Flight Training) techniques, our initial and recurrent training programs will instill the confidence you need to fly your aircraft to a higher level of proficiency and professionalism. Pilots that have attended our programs are always impressed by the confidence and higher level of knowledge they have acquired in just a few days of training (see testimonials). New G1000 Aircraft Now On-Line! This is the perfect gift for father's day or mother's day - a birthday or any holiday! If you have an aspiring aviator in your life, this is a gift they will love. A personalized gift certificate for one-hour of flight (only $199) allows for a scenic ride in the New Jersey and New York area in a Cessna 172SP aircraft.